Last week, as the city slept, the X-Man began setting up his secret headquarters. Director Bryan Singer's arrival in Toronto is just a precursor to the superhero invasion that will overtake the city when Fox's $75 million epic X-Men, based on the Marvel comic book, begins filming here this fall. Toronto has made quite an impression on Singer, who directed The Usual Suspects and Apt Pupil. He's been here less than a week scouting locations for X-Men and he has already decided the film's hero should remain a Canadian. 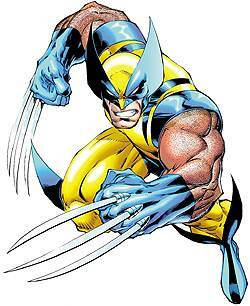 In the comic-book series, the most popular character, Wolverine, who has six-inch admantium claws, was born in Montreal. But Singer had other plans for the hero, who will be played in the live-action film by Scottish actor Dougray Scott. "Originally, I'd put him in Alaska," Singer says, voice raspy from recent surgery on a cyst in his vocal cords. "Then I moved up here and it was like, 'You know, we should just stick to basics.' We shoot in Canada. Let's have a Canadian hero." At 33, and after only three feature films, Singer is already being compared to Alfred Hitchcock and Quentin Tarantino, and Fox hopes that with him at the helm, X-Men will be unlike any comic book adaptation ever to hit the silver screen. In fact, he'd never even read a comic book before he was approached three years ago by X-Men creator Stan Lee. Singer has already assembled an ecletic cast of Shakespearean and art-house actors along with a Sports Illustrated swimsuit edition covergirl to portray his team of superheroes. Patrick Stewart, Sir Ian McKellan, Anna Paquin, Halle Berry, Rebecca Romijn-Stamos and the other X-Men are scheduled to land here in September. The movie, like the comic books, is set in a world where some children are born with special powers that emerge at puberty. Labelled as mutants, people reject these teens. Some mutants turn against society, while others, like the X-Men, use their powers to become reluctant superheroes. In the film, Stewart's character, Professor Xavier, the world's most powerful psychic and founder of the X-Men, and McKellen's Magneto lock in a philosophical struggle. "It's sort of a struggle between Martin Luther King and Louis Farrakan," explains executive producer Avi Arad from his New York office. "Professor X protects the people who are out to destroy him. Magneto on the other hand, he believes in a different sense of justice. 'They will destroy me so I will show them.'" "It's a wonderful combination," Singer says of Stewart and McKellen. "I just wish they had more scenes together." The movie shows the X-Men as they are becoming a team and struggling to bring their powers under control, Singer says. It focuses on the story of Wolverine as he first journeys into their world. "He provides a good point of view for the audience because I think people view these kinds of movies cynically. Well, so does he. But there is virtue in what they're trying to do. I'm approaching this the way I've approached all the other independent films I've made." Singer's best friend and Usual Suspects screenwriter Chris McQuarrie helped give X-Men the same sense of style shown in The Usual Suspects. X-Men will focus on plot and character with a twisting and tightly packed storyline. "I think the very nature of the subject matter is very surprising to people who don't know what the X-Men are," Singer says. "People like my parents might be expecting Spawn or Power Rangers. For people who are fans of X-Men, seeing them as human beings will be an exciting surprise. The notion of a man who's the most powerful psychic in the world but a slave to a wheelchair is fascinating. It's a wonderful dichotomy. Or there's (the character) Rogue, who's a beautiful young girl but can't touch anyone, can't have intimacy. Or Cyclops, who's an incredibly powerful man and can blow a hole through a wall but can't look at his fiancée." The film will use special effects that probably weren't around a year ago, Singer says, but he's determined to keep the camera focused on the actors, not the effects. He learned what he could about special effects in the three years since he signed on to X-Men by visiting the sets of The Phantom Menace, just outside London, and Titanic in Rosarito, Mexico, where he studied George Lucas and James Cameron at work. 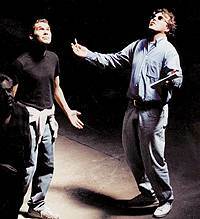 "Don't worry if you don't have much experience with special effects," he remembers Lucas telling him. "It's probably going to make for a more interesting experience and a more original vision."